It’s Thursday, so it’s stair night, but again, I didn’t get there until about 6:00. So I knew I had time for two climbs, and possibly three. Because of this, I thought this might be a good time to do an experiment and see if I could turn up the pace a bit. My plan was to aim for 5 floors per minute on the first climb. That’s a ‘brisk, but modest’ pace for me in normal times, but with the problems I’ve been having, I really didn’t know what would happen. But I figured that if I could do it, it would get me to the top in about 10:15 or so. I started out up the stairs, still not using the handrail for anything but guidance and balance. At the end of the first five floors, I was a few seconds ahead of schedule. And I didn’t feel too bad. So I kept going, and I managed to stay on schedule pretty much all the way up. 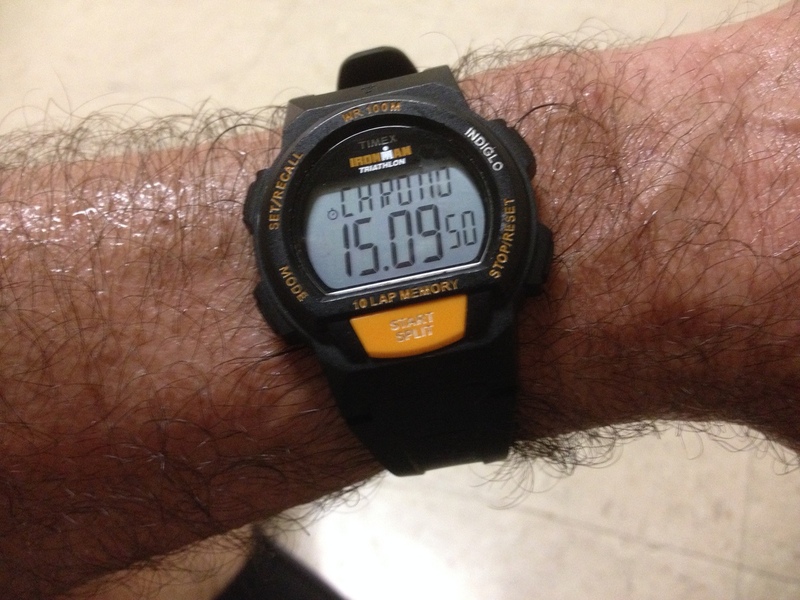 When I got to the 50th floor, I had a quick look at the watch, and I knew that if I hit it the last five floors, I had a chance to get under 10 minutes. So I grabbed the rail and started pulling a little bit, just to pick up the pace and see if I could do it. And I heaved up onto the 55th floor landing at 9:49. 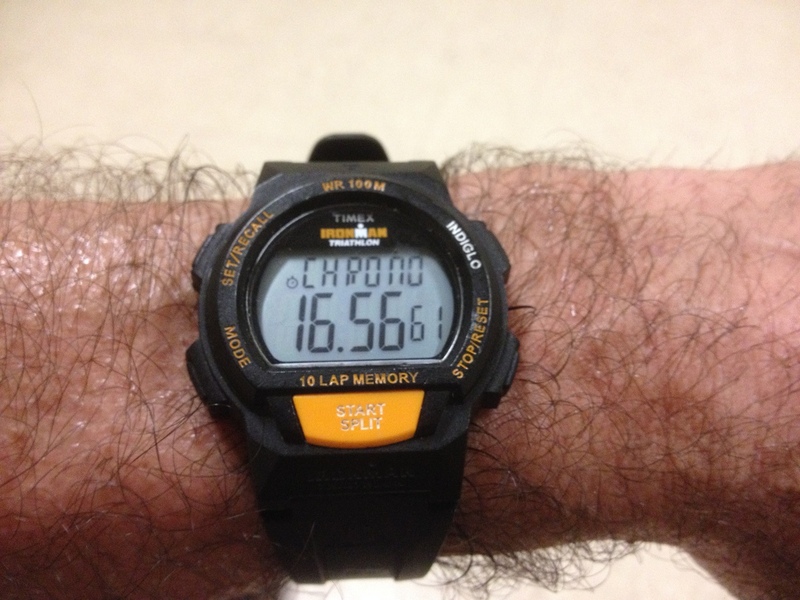 That works out to 5.2 floors per minute average for the 51-floor climb. The second time up, I turned the pace down a lot. 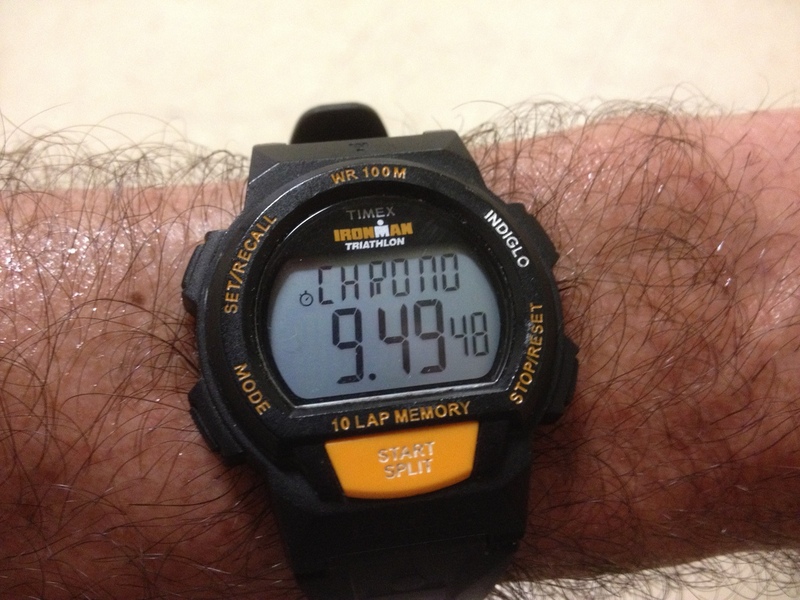 I was aiming for four floors per minute, but that only lasted for about the first 25 floors. So I slowed down and walked up the rest of the way. I was going to quit after two climbs, but when I got to the bottom, we still had 20 minutes left in the session, and Nathan was getting ready to go up for his fifth time. So I went along. We just walked up at a relaxed pace and talked. It was a pleasant time.